Kiss Gel Fantasy Nail Kit in "Rock Candy"
The Kiss Gel Fantasy Kit comes with 24 nails in a wide array of sizes. The set comes with both liquid glue and adhesive strips. Also included is a disposable nail file. Kiss Gel Fantasy Press-Ons in "Rock Candy"
The "Rock Candy" design features an oval tip, which is great for square-tipped girls that want to spice things up. 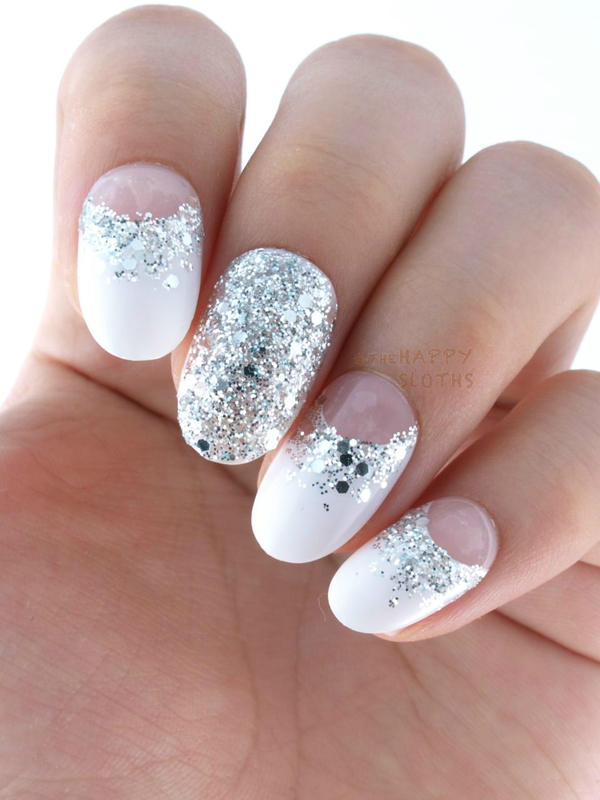 The glittered nails have a fairly smooth surface, not too gritty. I like that these aren't too short, as the majority of Kiss Press-Ons tend to be. Some of the nail tips have a bit of an uneven notch as a result of the manufacturing process; however, they can be easily clipped off using a cuticle clipper. The fit of these are not perfect; it was difficult to find appropriate sizes for all my nails and they often don't fit the contour of my nails. I used the adhesive strips for application as they are a lot easier and quicker to apply. However, the strips don't last very long, I can get a day of wear out of them, tops. Also included is a liquid nail glue, which I've been told lasts quite a bit longer than the adhesives. Kiss is available in stores in Canada at Walmart and London Drugs.